Last month, The Metropolitan Museum of Art announced something we all welcomed. They made more than 400,000 images of art in the Museum’s collection free to download. Before that, we also witnessed other major art museums launching their own open art initiatives: 87,000 images from the Getty in L.A., 125,000 Dutch masterpieces from the Rijksmuseum in the Netherlands, 35,000 artistic images from the National Gallery in Washington, D.C., and 57,000 works of art put on virtual display by Google Art Project. Now comes another 30,000 images from the Museum of New Zealand. On their blog, they write: "Today we are extremely happy to let you know about our latest development; over 30,000 images downloadable, for free, in the highest resolution we have them." "Over 14,000 images are available under a Creative Commons licence CC BY-NC-ND," (which means you can make non-commercial use of these images, so long as you give attribution to the artist.) "But even better are the 17,000 images that are downloadable for any use, any use at all. These images have no known copyright restrictions." Find more information on this open art initiative here. Or enter the collections right here. 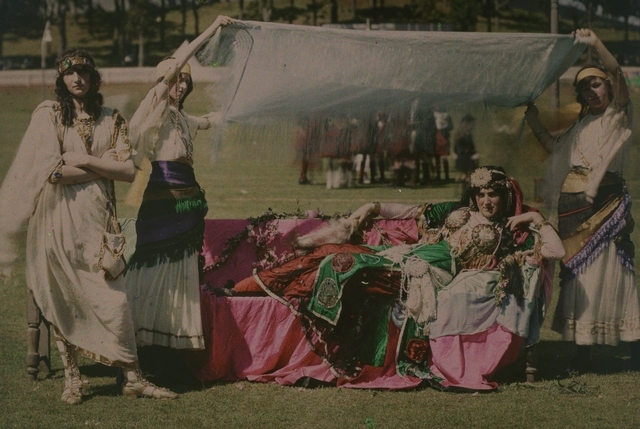 Up top, you will find the photograph called “Cleopatra in Domain Cricket Ground," taken in Auckland, by Robert Walrond, in 1914. 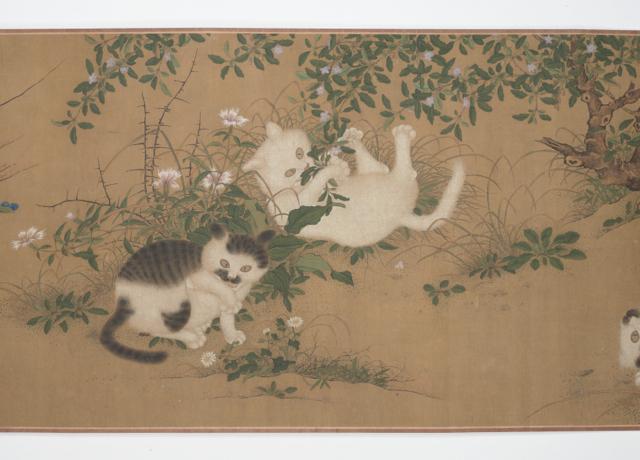 The second image is from a series called "Five cats," made in China during the late 18th century, by an unknown artist.